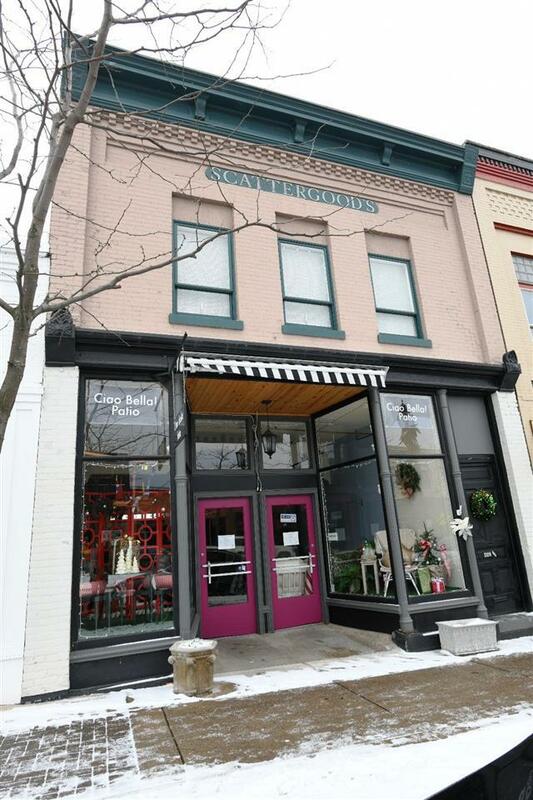 Extremely attractive, large commercial building plus a 2 bedroom flat in the heart of downtown Petoskey's bustling Gaslight District that is ideally suited for: the pure investor, the store owner/resident, or the savvy individual who wishes to use one space and lease the other to defray cost. Beginning at the street level clients enter thru a covered center entrance flanked by fabulous display windows into a classic 25 ft. wide retail or office space with distressed hardwood floors, exposed brick walls, soaring ceilings, ample lighting and warehouse style industrial ductwork providing both heat and A/C for this roughly 2600 square foot space. Shipping and receiving is easy with the inclusion of a rear entrance off the alley as well as a large lower level storage area. The upstairs residence again provides front and rear access and has been tastefully redone featuring an updated kitchen and bathroom, skylights, and an enormous south facing sun drenched deck that could be easily enclosed for more square footage or possibly made an additional unit. All of this and located within Petoskey's Central Business District which could mean the upstairs is available for short term vacation rentals in this up and coming area in the Little Traverse Bay Regions most well established downtown. Call today for a personal tour..